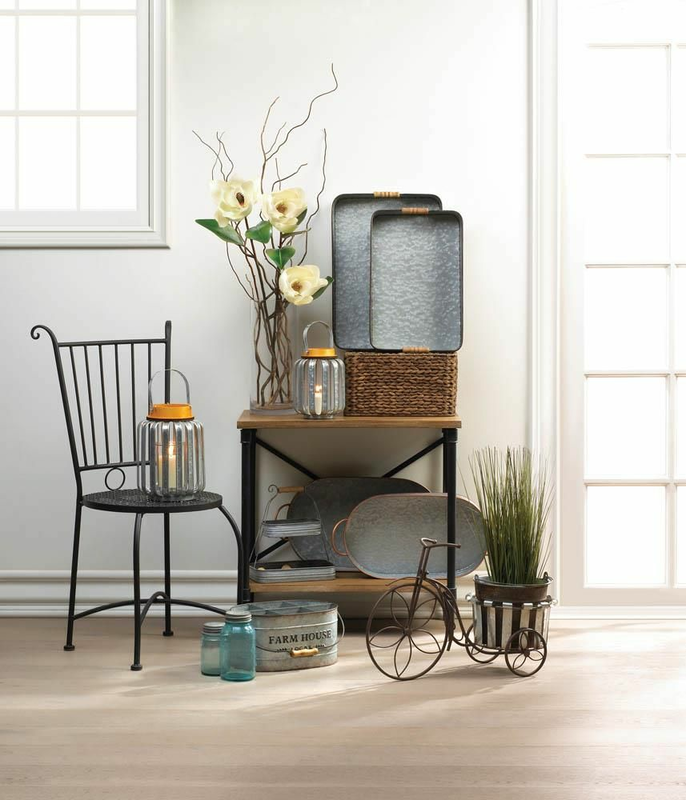 Serve up Farmhouse style indoors or out with these galvanized metal trays. Each tray features a spacious oblong shape with a tall edge that's perfect for holding beverages, condiments, and food. 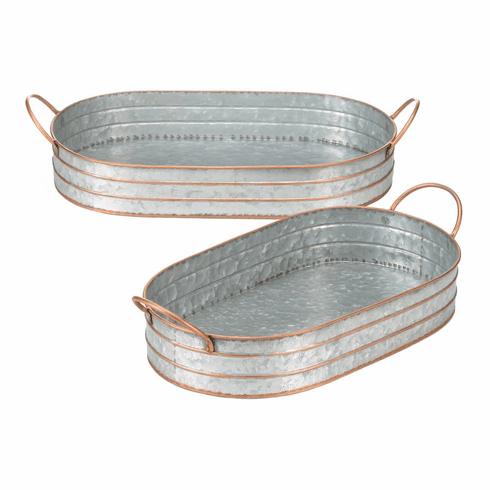 A must-have for any host, this metal tray set will let guests help themselves so you can enjoy the party too. Weight	2.6 pounds. 19" x 11.2" x 3". Galvanized Metal. 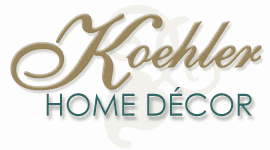 UPC Number: 849179041182.